Cell A cell is like a doctor’s office as a whole (the building, the people, and the business). 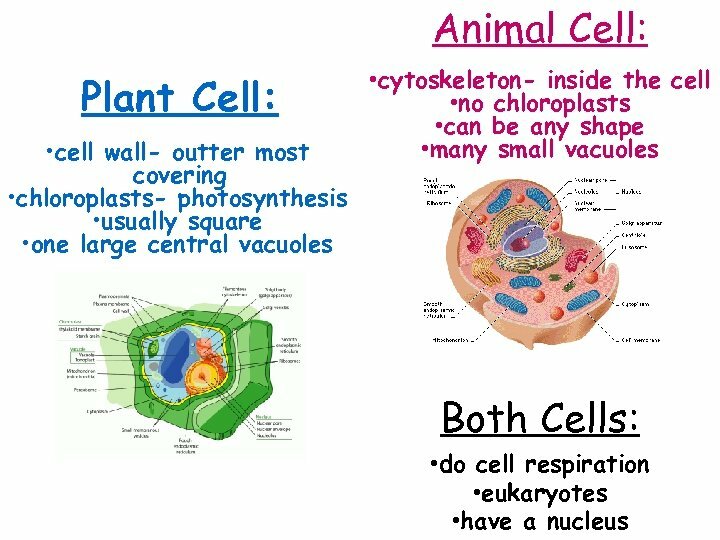 Cell Wall Only plant cells have a cell wall. 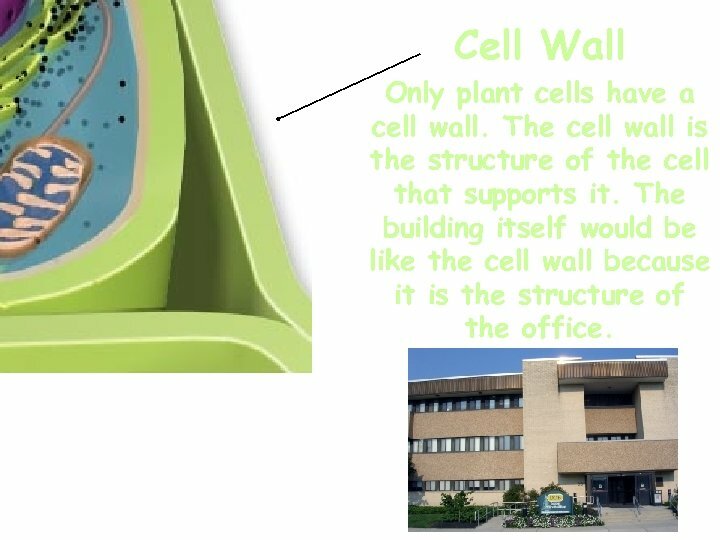 The cell wall is the structure of the cell that supports it. 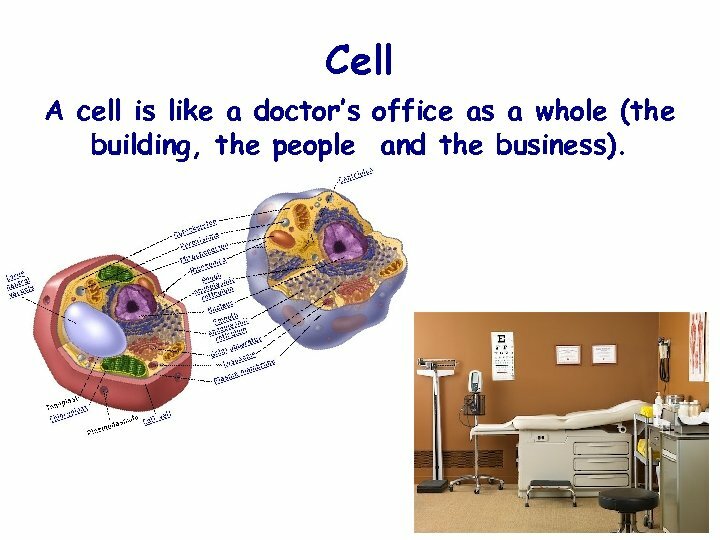 The building itself would be like the cell wall because it is the structure of the office. 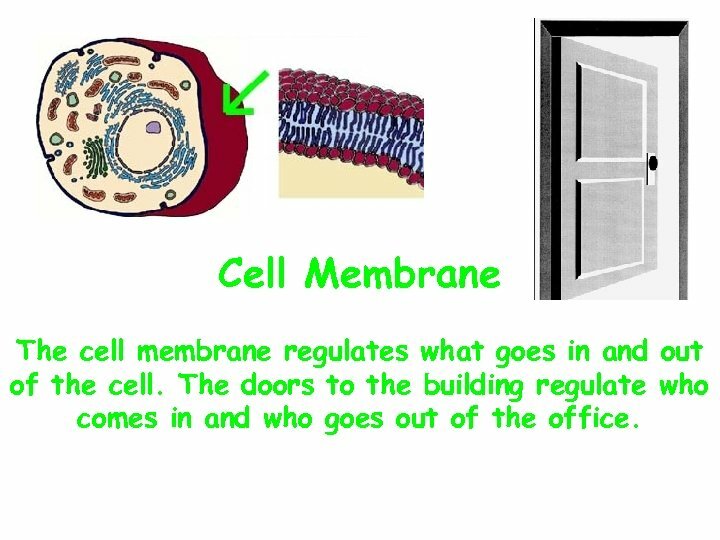 Cell Membrane The cell membrane regulates what goes in and out of the cell. The doors to the building regulate who comes in and who goes out of the office. 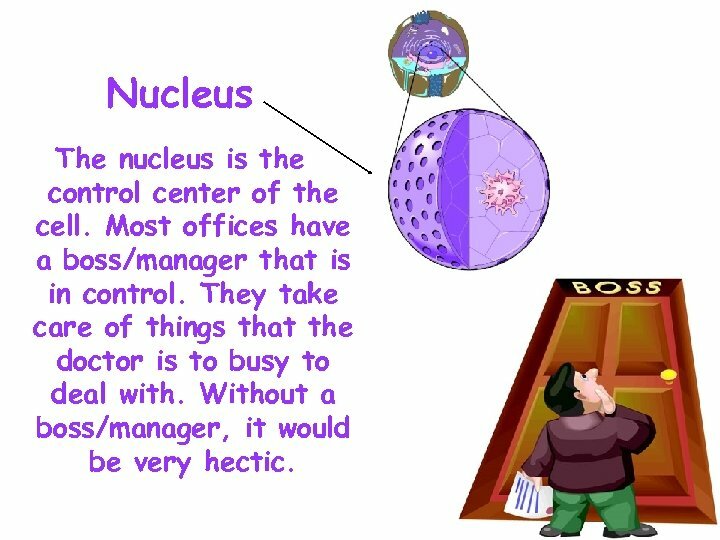 Nucleus The nucleus is the control center of the cell. Most offices have a boss/manager that is in control. They take care of things that the doctor is to busy to deal with. Without a boss/manager, it would be very hectic. Mitochondrion The mitochondrion is the power house of the cell. 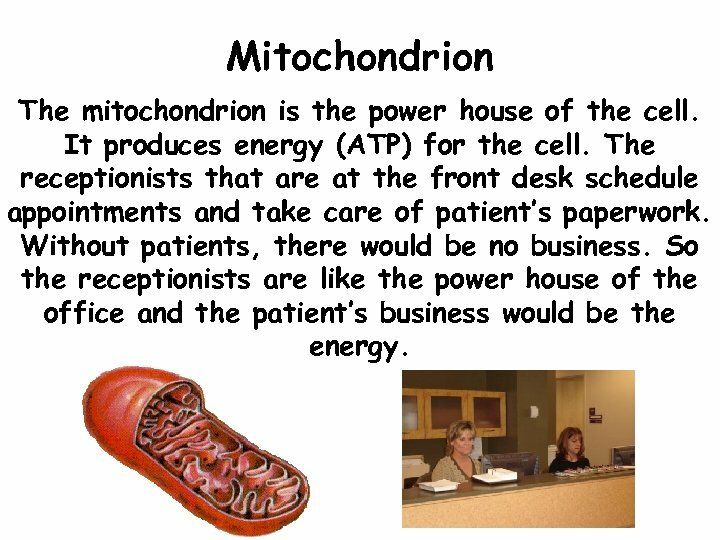 It produces energy (ATP) for the cell. The receptionists that are at the front desk schedule appointments and take care of patient’s paperwork. Without patients, there would be no business. So the receptionists are like the power house of the office and the patient’s business would be the energy. Ribosomes produce proteins for the cell. Advertising a doctor’s business promotes people to become patients there. 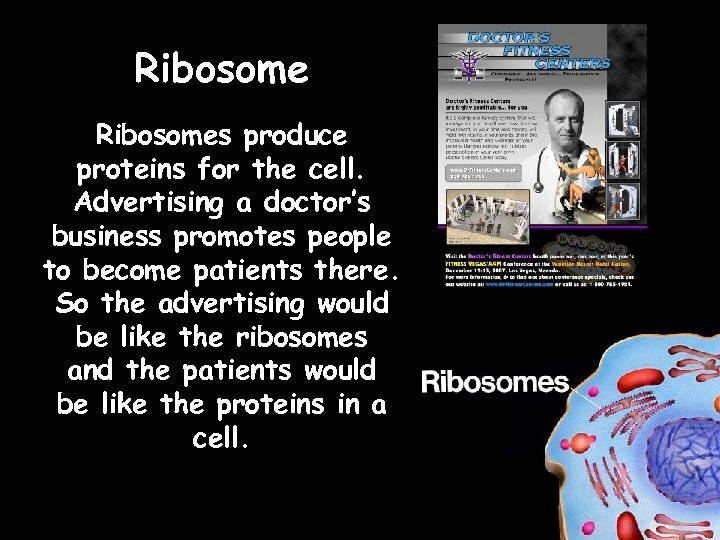 So the advertising would be like the ribosomes and the patients would be like the proteins in a cell. 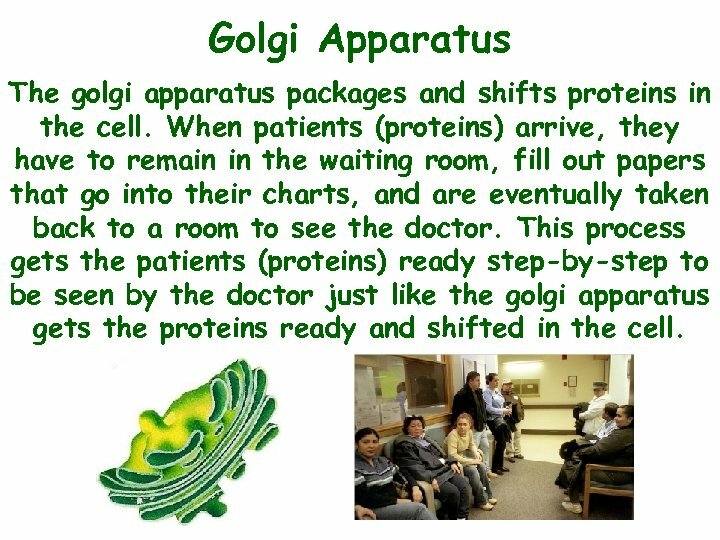 Golgi Apparatus The golgi apparatus packages and shifts proteins in the cell. When patients (proteins) arrive, they have to remain in the waiting room, fill out papers that go into their charts, and are eventually taken back to a room to see the doctor. 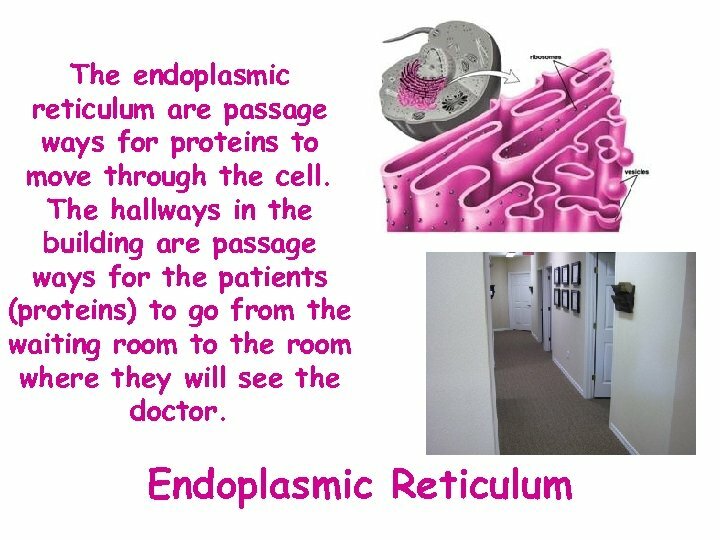 This process gets the patients (proteins) ready step-by-step to be seen by the doctor just like the golgi apparatus gets the proteins ready and shifted in the cell. 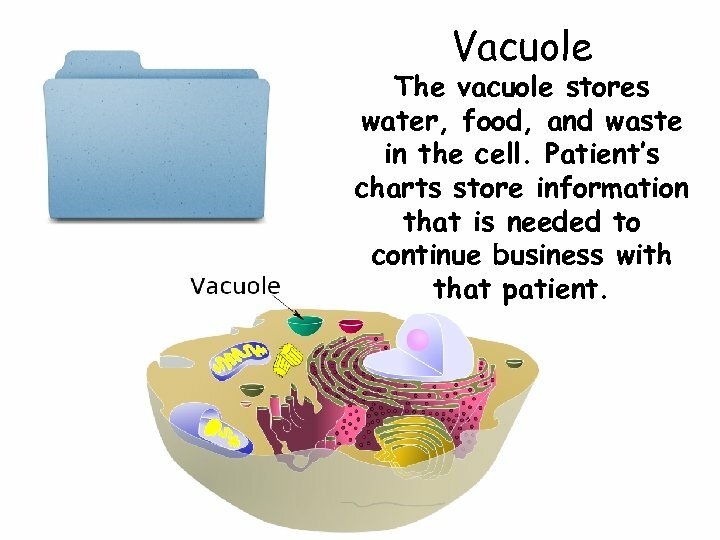 Vacuole The vacuole stores water, food, and waste in the cell. Patient’s charts store information that is needed to continue business with that patient. Cell Structure & Function http: //koning. ecsu. ctstateu.